* Free consulting is available from the factory for all industrial camera applications. Contact us for more information. 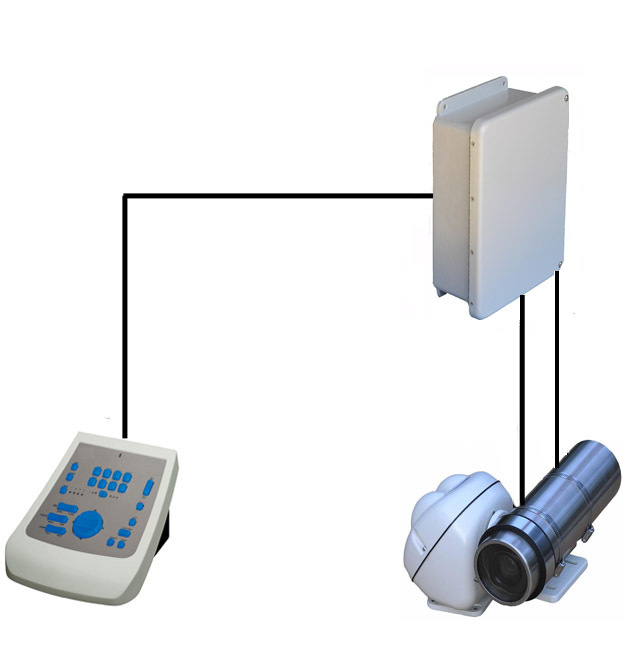 Bass Electronics CPTZH Pan Tilt & Zoom non-digital, multi-wire controllers operate pan/tilt, auto scan, and motorized zoom lens functions from one desktop unit. Pan/tilt movements and lens functions are actuated with low profile, push button keys. Control signals are carried by 9-10 conductors directly to the pan tilt unit, (no receiver/driver required). This controller is perfect for short distances due to the ultra-simple system design/layout. Simple circuit design allows for easy troubleshooting by onsite E&I Techs. Contact us for more information. Bass Electronics CPTZ-VT1 Digital Keyboards control up to 16-pan tilt zoom (TPTZ) cameras and 4 monitors form one location. Other systems are available to control up to 500 cameras. 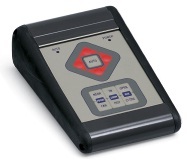 Ideally suited for use with Bass Electronics PTZ receivers like the CRPTZ24UTP versions listed below. Contact us for more information. Bass Electronics CRPTZ24UTP Receiver Systems operate Pan Tilt & Zoom (PTZ) motors upon command form digital controllers such as the Bass Electronics CPTZ-VT1 shown above. Multiple receivers/camera systems can be operated by one controller using the UTP (unshielded twisted pair) cable or wireless transceivers to communicate commands. Video signal transmission can be achieved with coaxial cable or Bass Electronics T581/T241 Wireless Video Transmitter Systems, two-wire transmitters or fiber optics cables. Contact the factory for free System consultation. Contact us for more information. Bass Electronics TRC2WAY Series Multiplex Data Transceivers transmit and receive digital control data for application such as wireless control of Pan tilt Zoom systems. They easily integrate with Bass Electronics CRPTZ24UTP-CRF wireless receivers and other devices operating in RS232 or RS422/RS485 format. 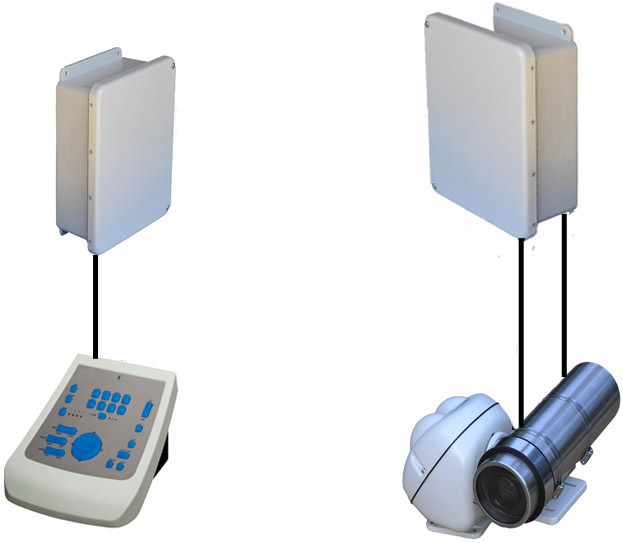 Wireless video signal transmission can be achieved with Bass Electronics T581/T241 Wireless Video Transmitter Systems or other wired methods. Contact us for more information.